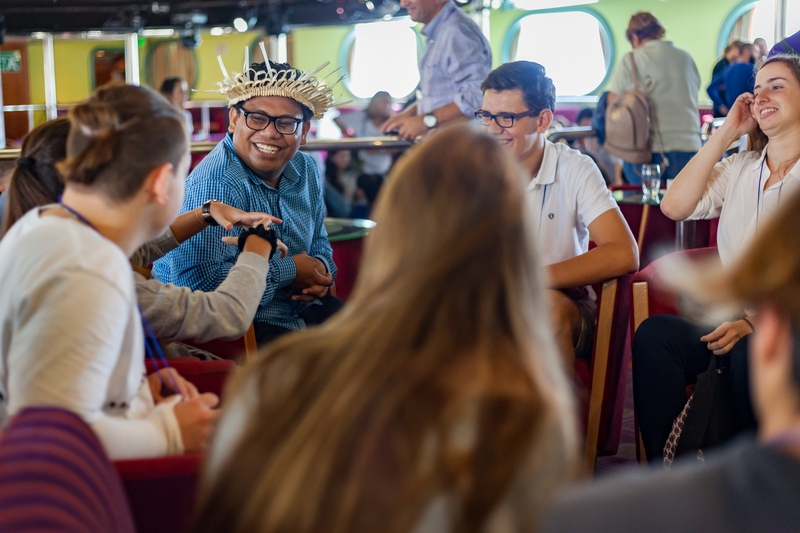 Peace Boat is pleased to announce that applications are now being accepted for participants from countries in the Alliance of Small Island States (AOSIS) to the Ocean and Climate Youth Ambassador Programme. This programme was announced at the Ocean Conference in June 2017 as a voluntary commitment towards the implementation of SDG14. The first edition of the programme took place September – October 2017 and was an Endorsed Event of the COP23 Presidency. The next edition was announced at the Global Festival for Action. 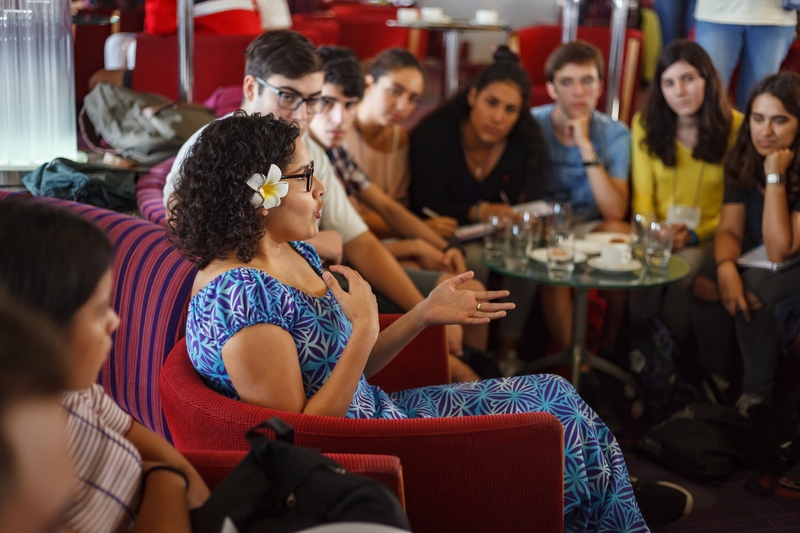 To be held in collaboration with Small Island Developing States (SIDS), the programme will bring youth leaders from states on the front line of climate change and marine degradation to travel onboard Peace Boat’s ship, engaging in capacity building and bringing their message to citizens and government representatives through the voyage. The youth will embark in Europe in June 2018. 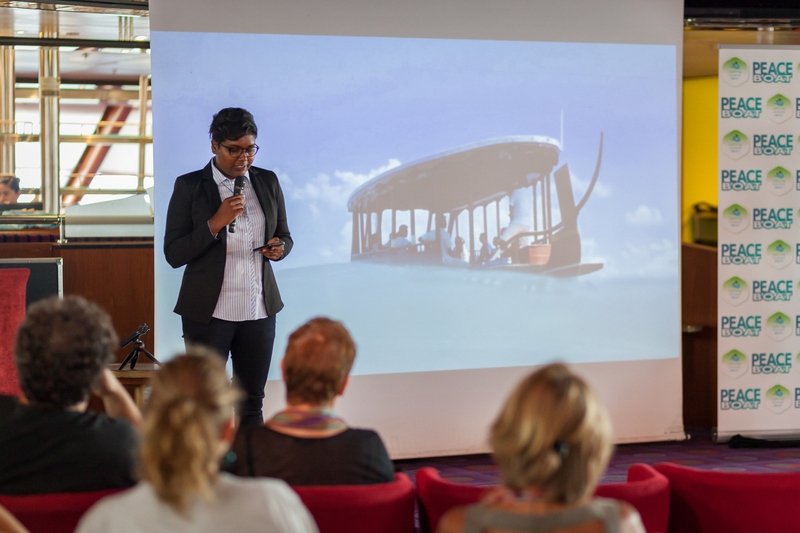 There, they will connect with civil society organizations and government agencies in ports visited, including in Sweden, Denmark, Norway, Iceland, Canada and the United States. Participants will give testimony of their experiences and the impact of climate change and marine degradation on their communities, and make a Youth Call for Action. The program will highlight SDG13 (Climate Action) and SDG14 (Life Below Water) as part of Peace Boat’s commitment to the Ocean Pathway Partnership. A COP23 Presidency ocean initiative, the Ocean Pathway embodies the important relationship between the Ocean and Climate Change. Fiji and Sweden co-chaired the first UN Ocean Conference in June 2017 and the Call for Action underlined the urgency for a healthy ocean and the critical relationship between the ocean and climate. The programme will start in Sweden, a country who has demonstrated a strong leadership in climate action. Sweden was one of the main organizers of the Ocean Conference last year and, with Fiji, they are leading the Ocean Pathway. Their voyage will end as Peace Boat docks in New York during the High-Level Political Forum for Sustainable Development in July 2018 where the youth ambassadors will report on their efforts to both the United Nations community and the broader public.Participants, between the ages of 18 and 29, from Small Island States visited during Peace Boat’s global voyages, including from countries in the three geographic regions of the Pacific, Indian Ocean and Caribbean. Candidates will have a strong interest and will already active in their own communities on issues relating to ocean welfare and/or climate action and will be able to share their message through various means of expression. The selection committee will evaluate the application materials based on the “eligibility” to be laid out in the call for participants. Skype/phone interviews will be conducted.Please download more information on how to apply here. The deadline for applications is April 15, 2018.